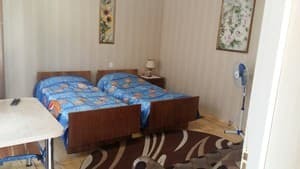 Prior to the guests, the sauna, critical pool with warm water, a cafe-bar, a soap pricyu tsilodobovo., Altanka, mangal, that free private parking. 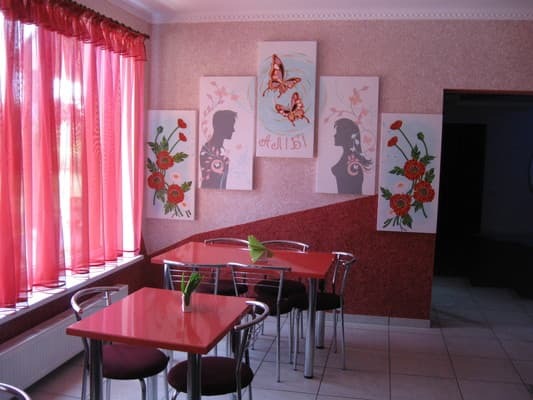 The number of rooms is equipped with television, and the activities are with a balcony. Також у міні-готелі «Алібі» nadaetsya bezkoshtvny Wi-Fi. Skriz є shower and hot water. Winter zavzhdi warm, and vlitsku not hot. 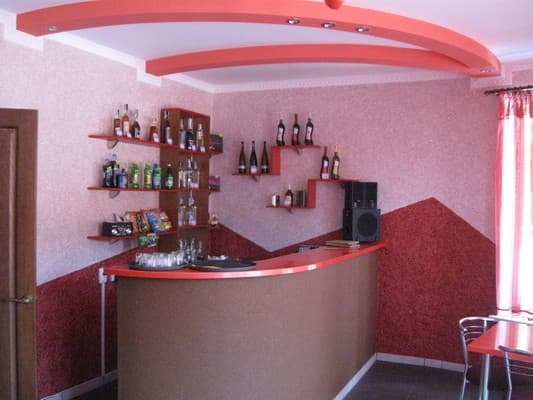 On teritoriї the hotel it is possible пограти at настільний теніс, football, volleyball, купатись та рибалити. Roztashuvannya chyogo zameshkannya - one of the nimkraschih! Vono podbyatsya guests, more, nizh rotashuvannya інших мешкань у цьому районі.Це помешкання пропонує найкраще співвідношення ціна-якість. The kitchen is very smart, the staff is very friendly. 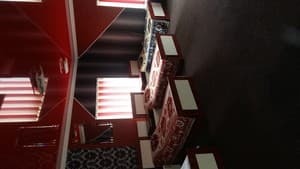 Description of the room: The cozy double room is equipped with one double bed or two single beds. There is a room with a balcony. 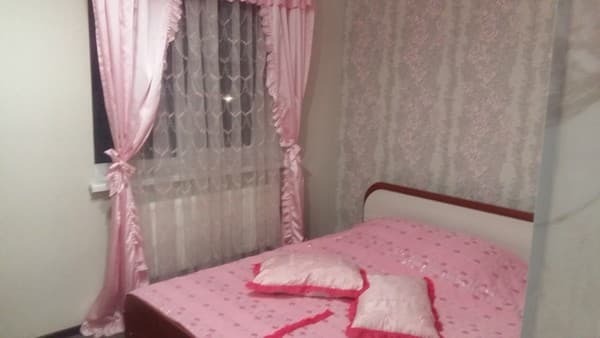 Description of the room: Cozy triple room. Each room is equipped with a double bed and a folding armchair or sofa. There are rooms with air conditioning or refrigerators. 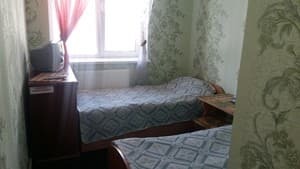 Description of the room: A comfortable quadruple room. 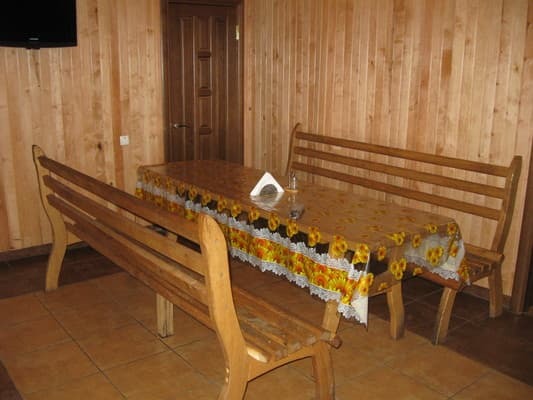 One room is equipped with a double bed and a sofa, the second one with one double bed, one single and two armchairs. There are rooms with a fridge and a balcony. 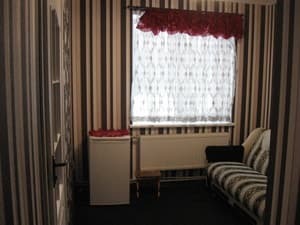 Description of the room: Comfortable room that is in a separate cottage. The room is equipped with a double bed and a folding armchair. There are rooms with a double bed and a sofa. Description of the room: large dorm room with all amenities for 8 people. price for bed 120grn. Отель находится далеко от города. Чистый воздух и природа. Можна добре виспатись і смачно перекусити. Чисте і свіже повітря. Рекомендую. Привітний персонал. Можливість не тільки переночувати, але ще й поїсти. Досить демократичні ціни. Одна розетка у номері, трохи за мало. 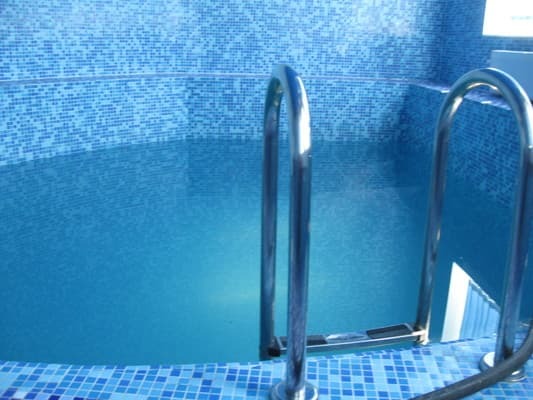 It is possible to provide an additional seat cost from 60 UAH per day. The Alibi Hotel has a 24-hour café where you can order an à la carte menu. The cost of breakfast from 30 UAH. The hotel is on the outskirts of the village on the mainland. Shche інформація для клієнтів-можлива стірка і прасування одягу -від 20 UAH. Morning Lunch. Можлива shipping to the company. You can order in the room. Додаткове спальне місце в номері -60 грн .. сніданок- від 30 грн .. Заміна постілі (при тривалому проживанні) in 3 days ... Picking up the number (with a trivalovoy lived) on the bottom of the bed .. Mozhlivy rorajunok on pererahunku ... abo the card .. Wiklik taksi ... at the time of the day ... Documentation for the residence dodayutsya .. Можливі інші побажання клієнтів або безкоштовно, або за додоткову плат ..
From Kovel along the P15 highway towards Turiysk and Novovolynsk.